The Trust ran a leadership evening for local Small & Medium Enterprises with guest speakers Baroness Ruby McGregor-Smith and Major General Paul Nanson. Over 80 local business leaders attended the event in New College Officers' Mess. 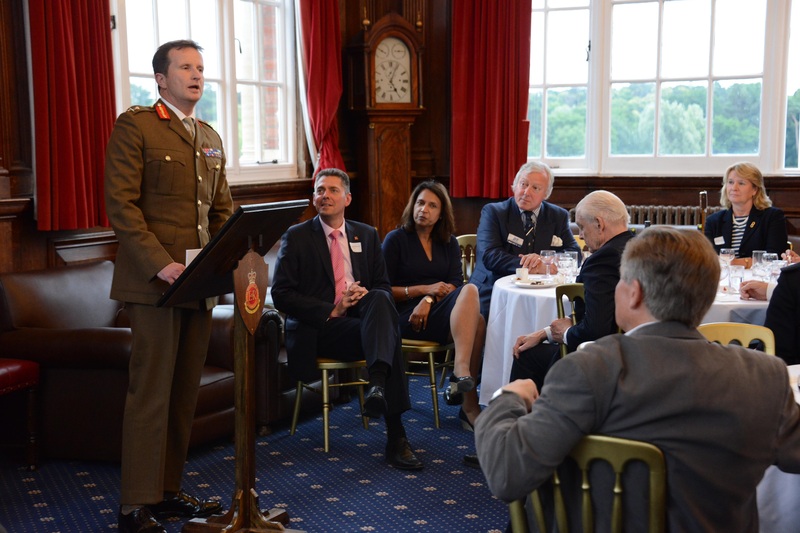 The speakers were Baroness Ruby McGregor-Smith, former CEO of Mitie, and Commandant RMAS, Maj Gen Paul Nanson CBE. The audience certainly appreciated the mixture of sound leadership advice from the Baroness, the first female Asian head of a FTSE-listed company, and the Commandant who is also the Director of Army Leadership. Ten Officer Cadets from Lucknow Platoon acted as table hosts and benefitted from the leadership experience as well as partaking of the fine curry on offer.